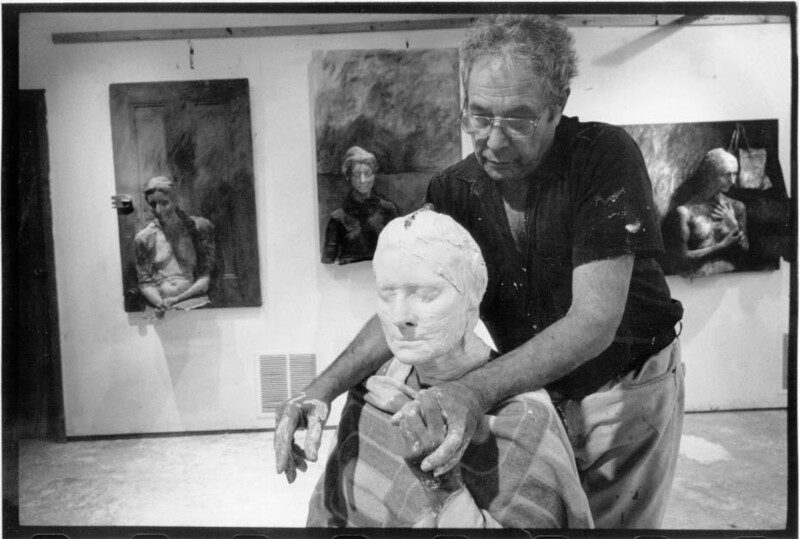 George Segal was born in New York on November 26, 1924, to a Jewish couple who emigrated from Eastern Europe. 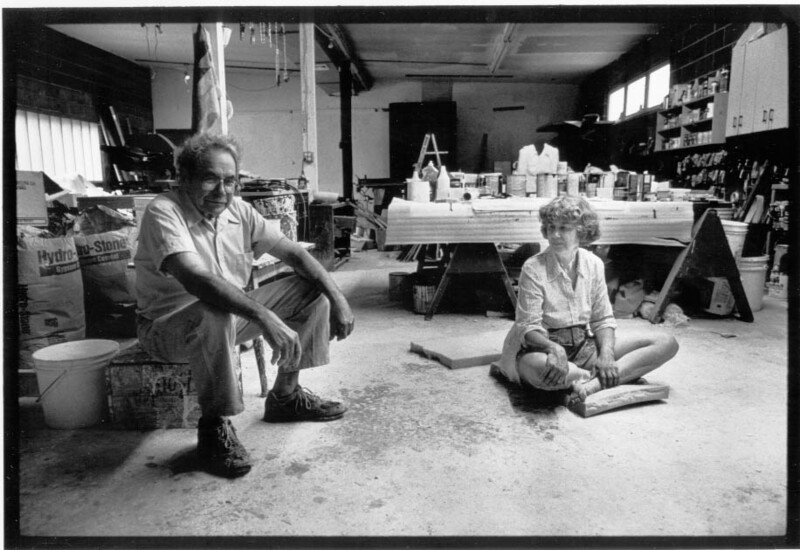 His parents first settled in the Bronx where they ran a butcher shop and later moved to a New Jersey poultry farm. 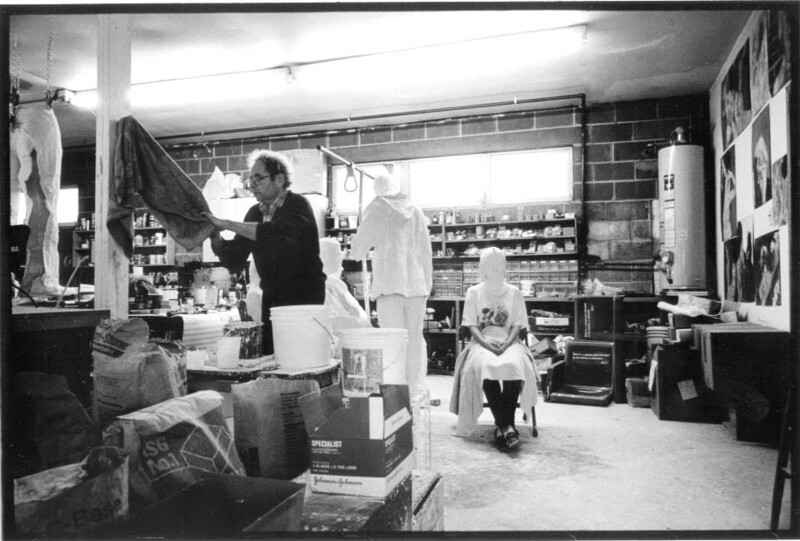 George spent many of his early years working on the poultry farm, helping his family through difficult times. 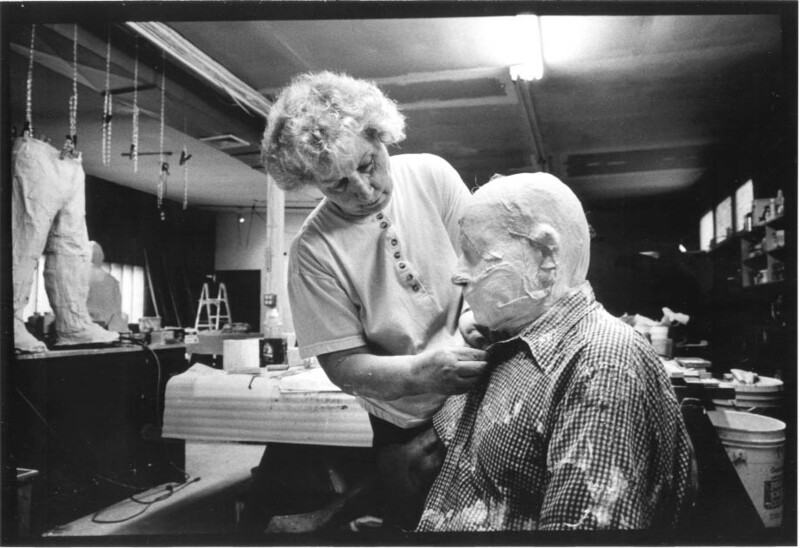 For a while, George lived with his aunt in Brooklyn so that he could attend Stuyvesant Technical High School and prepare himself for a future in the math/science field. 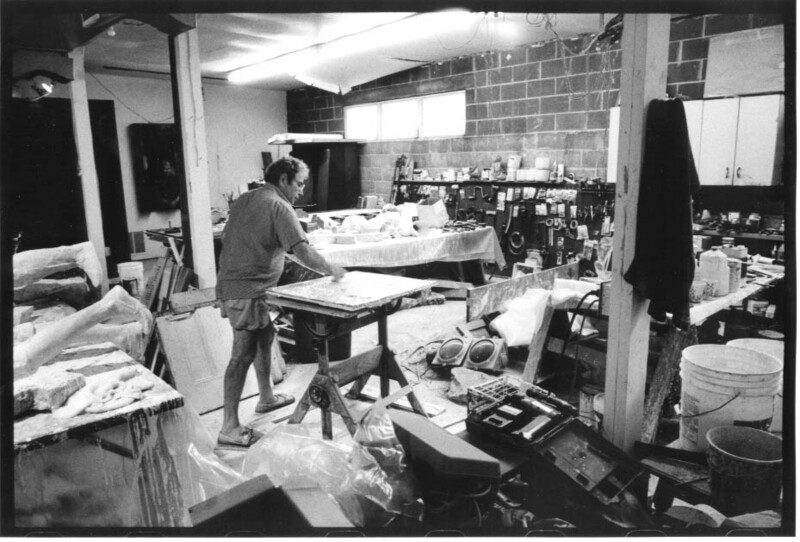 It was here that George first discovered his love for art. 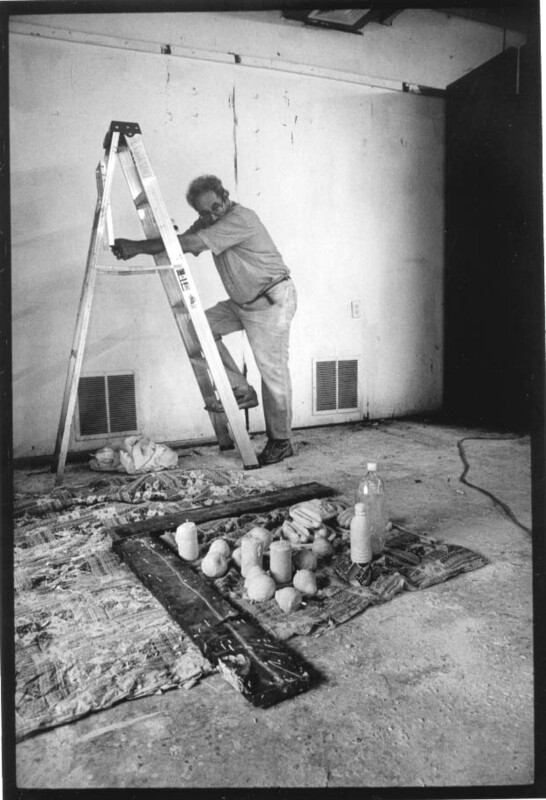 During World War II, he had to curtail his studies in order to help on the family poultry farm. 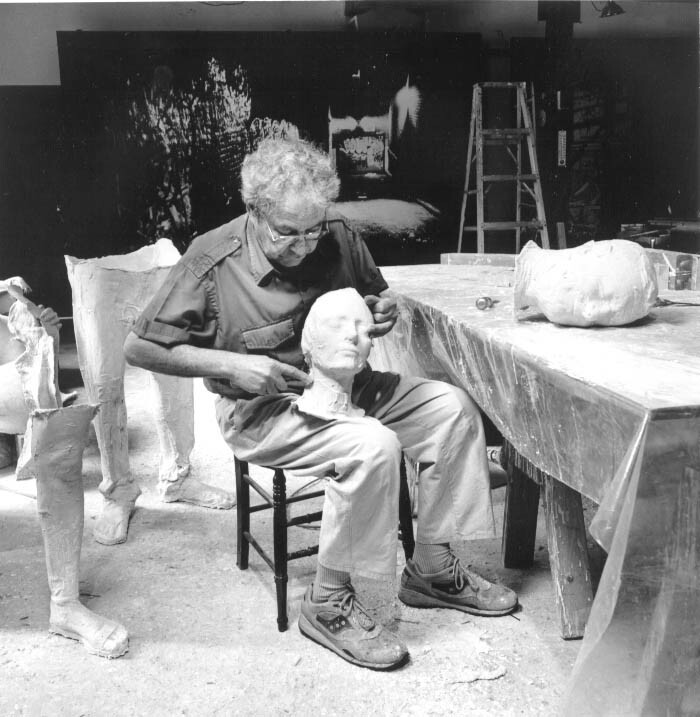 He later attended Pratt, Cooper Union, and finally New York University where he furthered his art education and received a teaching degree in 1949. 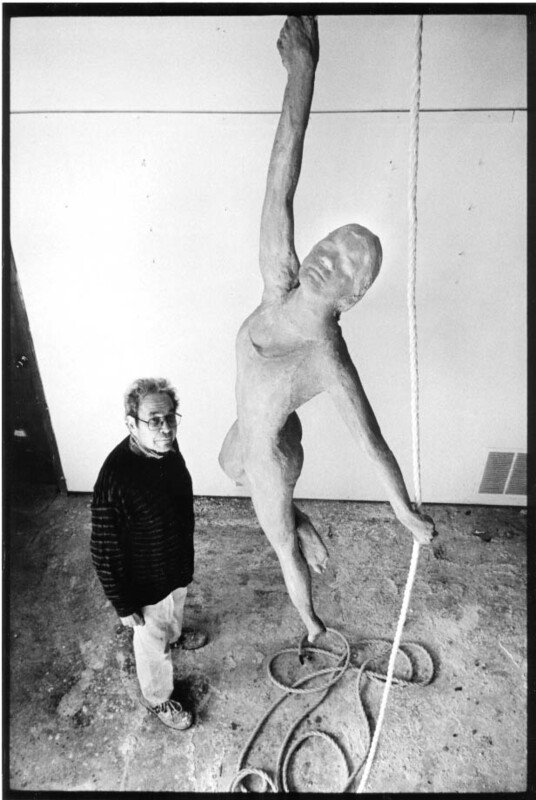 It was during these years that Segal met other young artists eager to make statements based on the real world rather than the pure abstractionism that was all the rage. 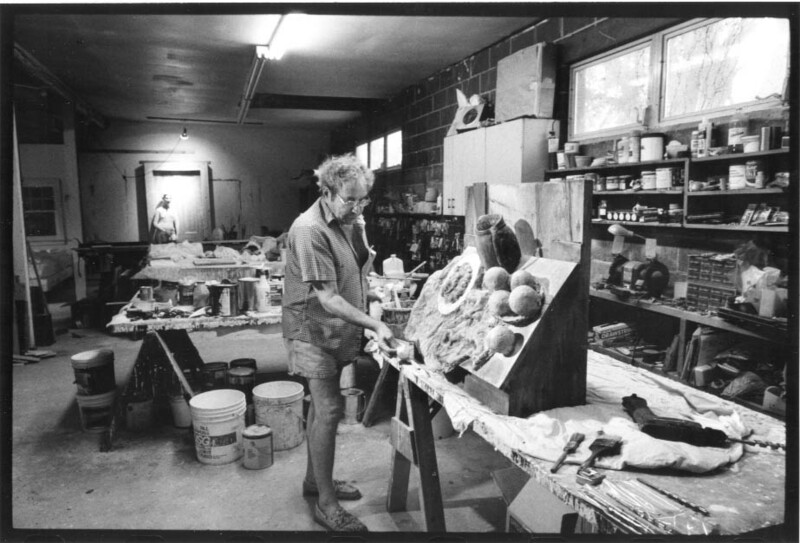 He joined the 10th Street scene, painting and concentrating on expressionist, figurative themes. 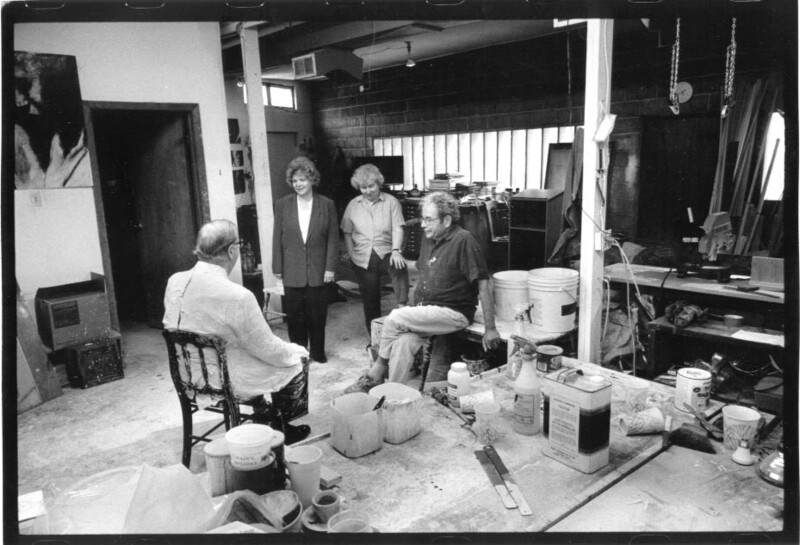 After his marriage to Helen in 1946, they bought their own chicken farm. 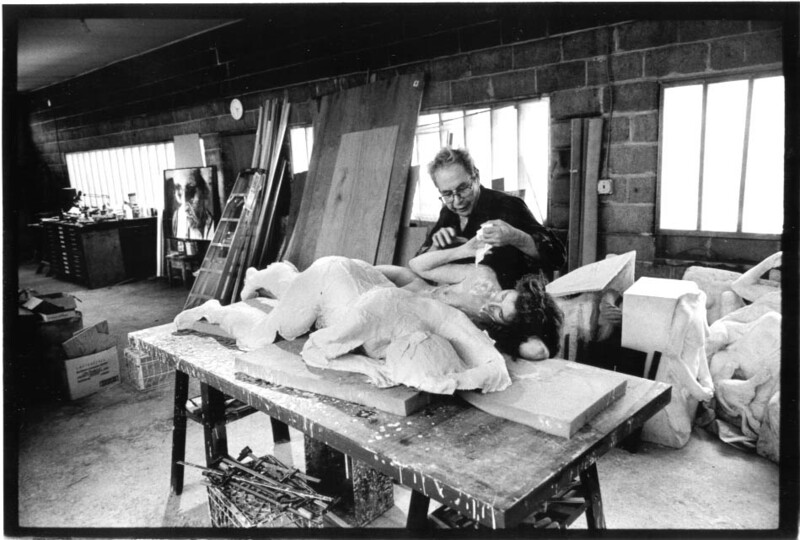 In order to support his family during the lean years he taught Art and English at the local high school and at Rutgers University. 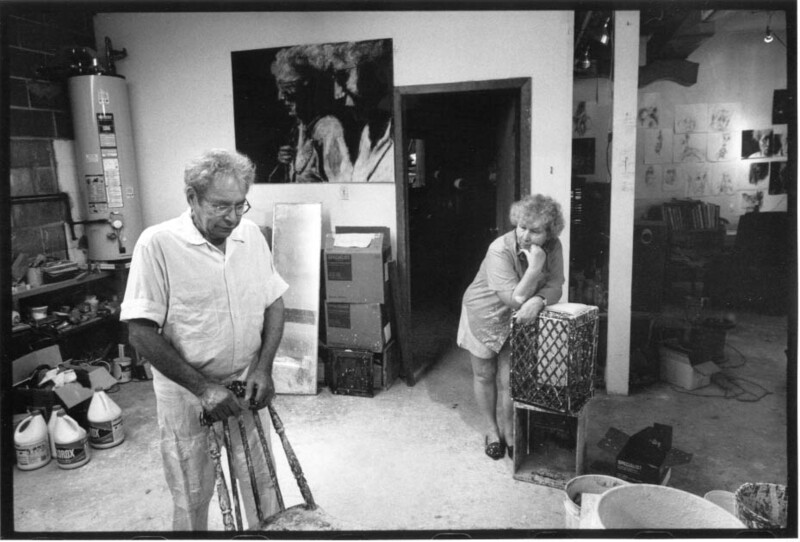 In 1957, he was included in “Artists of the New York School: Second Generation,” an exhibit at the Jewish Museum. For the next three years he showed annually at the Hansa. 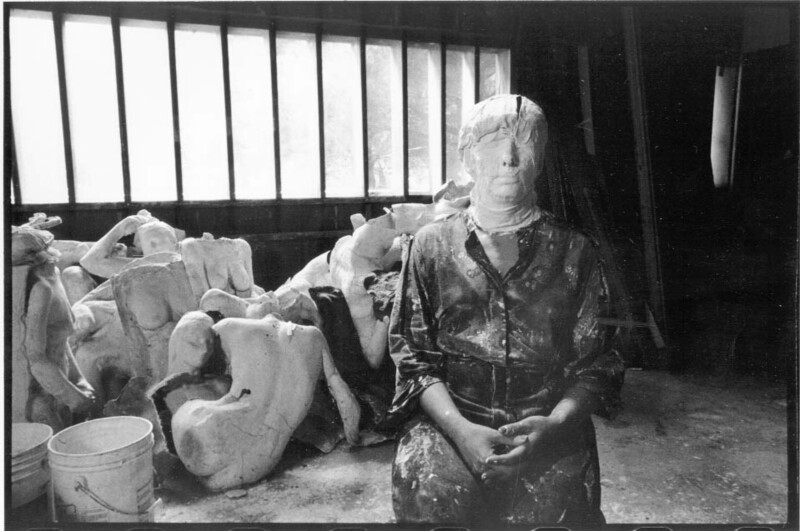 The path from painting to sculpture and the specific form of the sculpture is embodied in a series of events from the late 1950s. 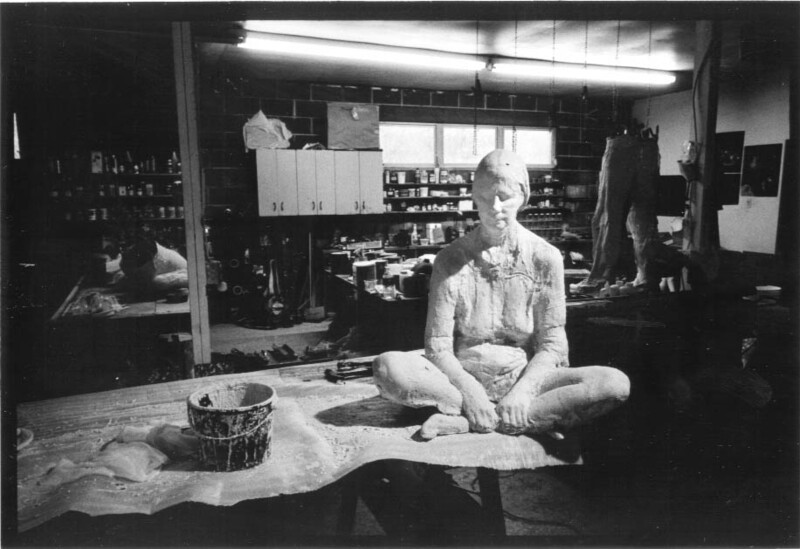 In 1956, Segal was introduced to the Hansa Gallery and its’ artistic influence. 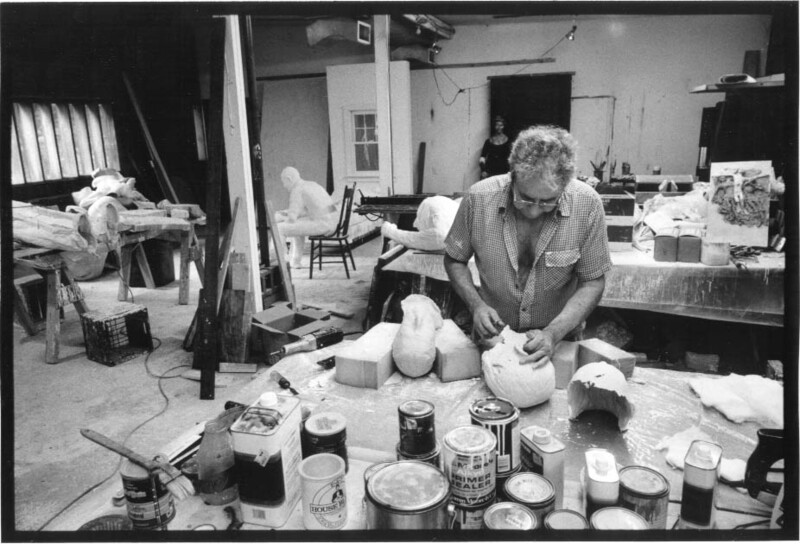 The following year, Allan Kaprow chose the Segal farm as the scene of his first Happening – live art with an environmental sensibility. 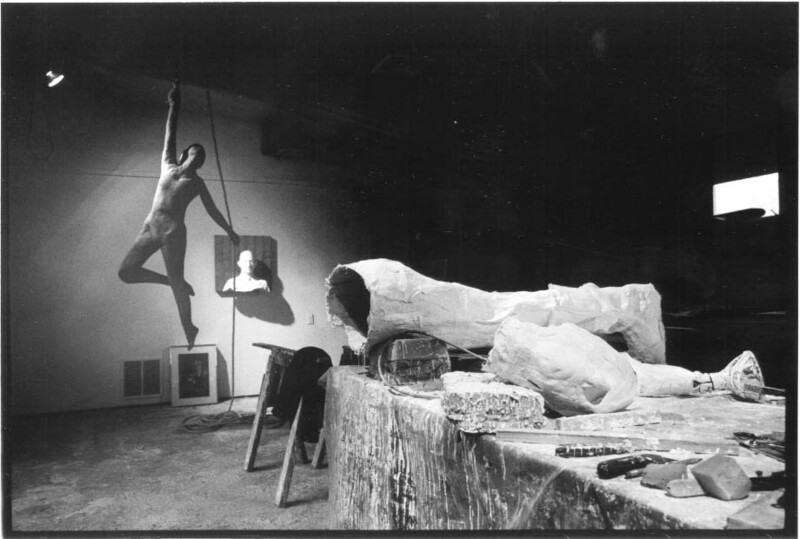 In 1958 Segal began to experiment in sculpture and had a one-man show at the Green Gallery in 1960, featuring several plaster figures. 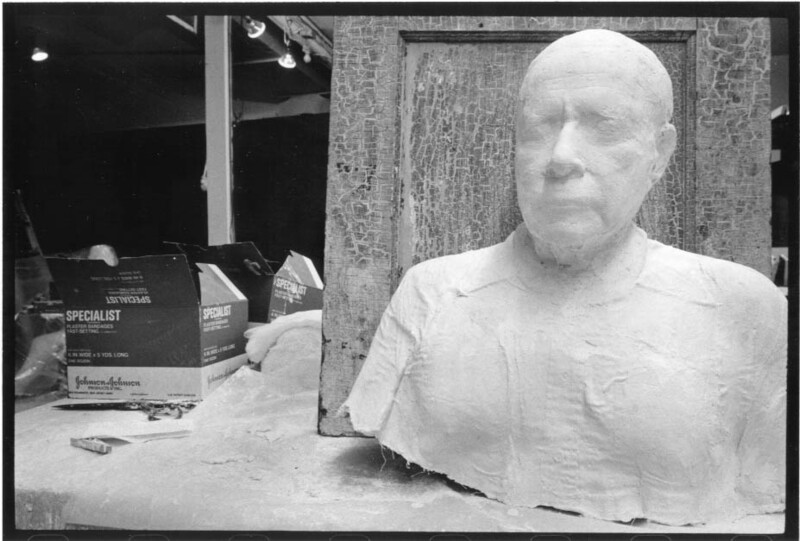 In 1961, while teaching an adult education class in New Brunswick, a student brought to George’s class a box of dry plaster bandages. 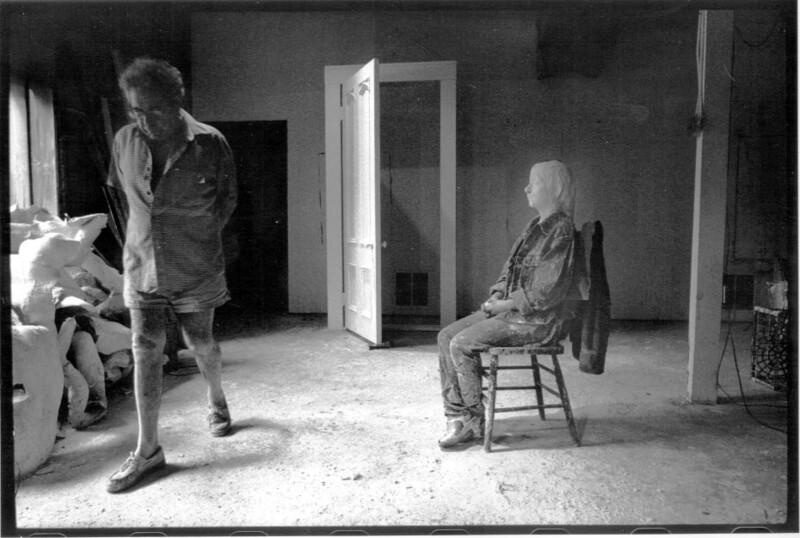 Segal took them home and experimented with applying them directly to his body. 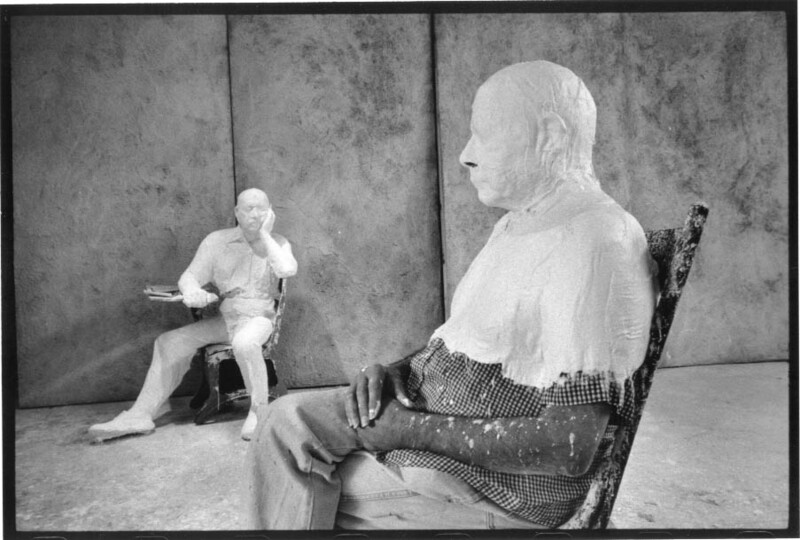 With the help of his wife, Helen, Segal was able to make parts of a body cast and assemble them into a complete seated figure. 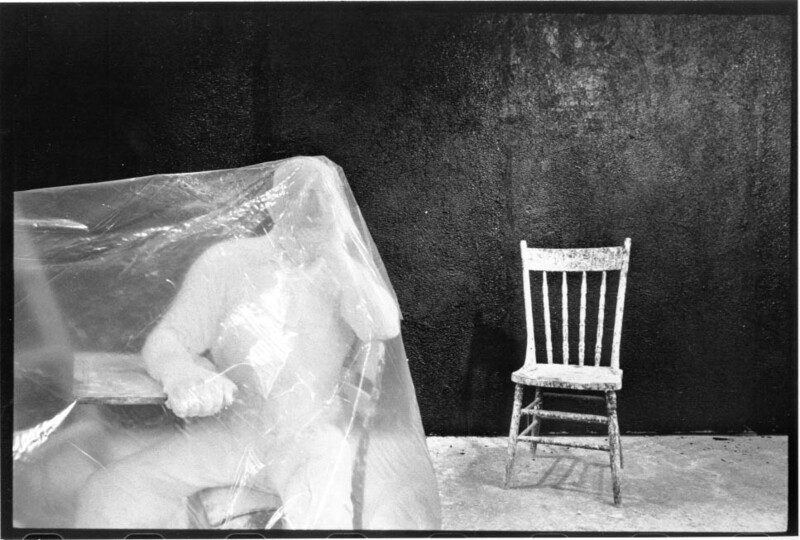 Segal provided an environment for his body cast by adding a chair, a window frame and a table. 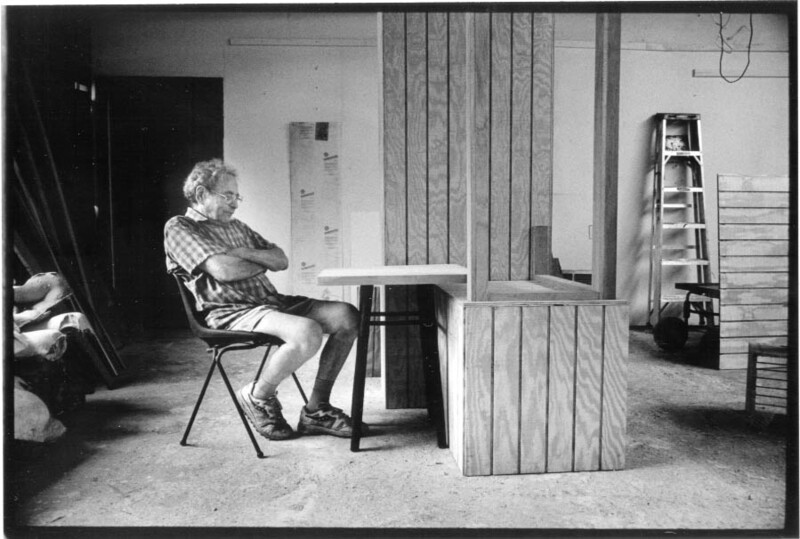 Man Sitting at a Table marked the discovery of a new sculptural technique and a turning point in the artist’s career. 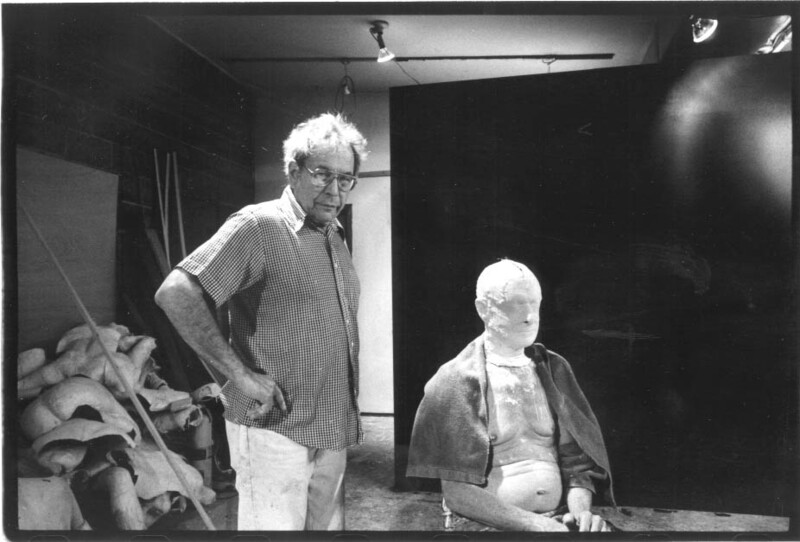 From 1965 to 1999, George Segal was represented exclusively by the Sidney Janis Gallery, New York. 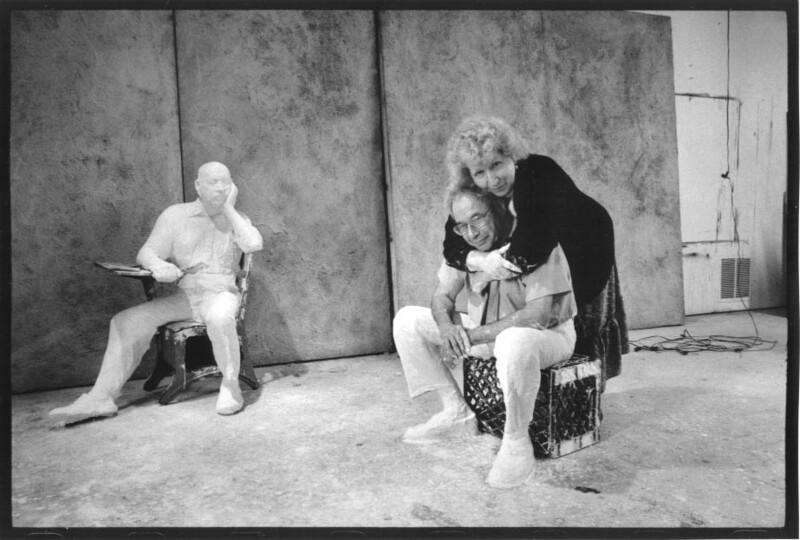 In these later years, he perfected the technique and created real life tableaux, using many close friends and family members as models. 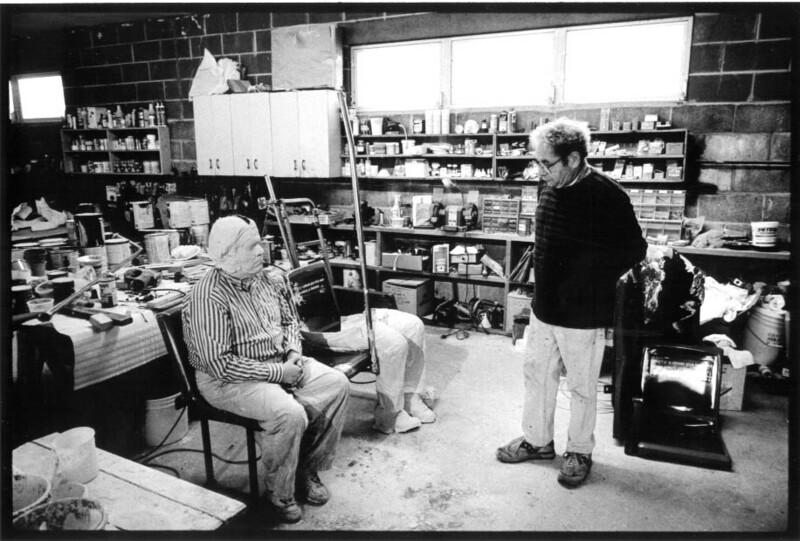 He became known, along with Roy Lichtenstein, Robert Indiana, Andy Warhol and others as part of the "Pop Art" movement. 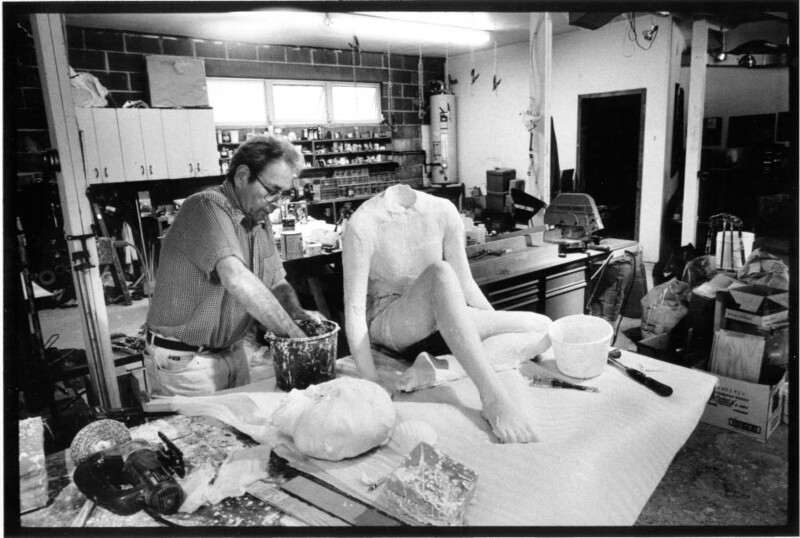 Segal's distinctive style separated his work from "Pop Art" by staying closely related to personal experience and human values. 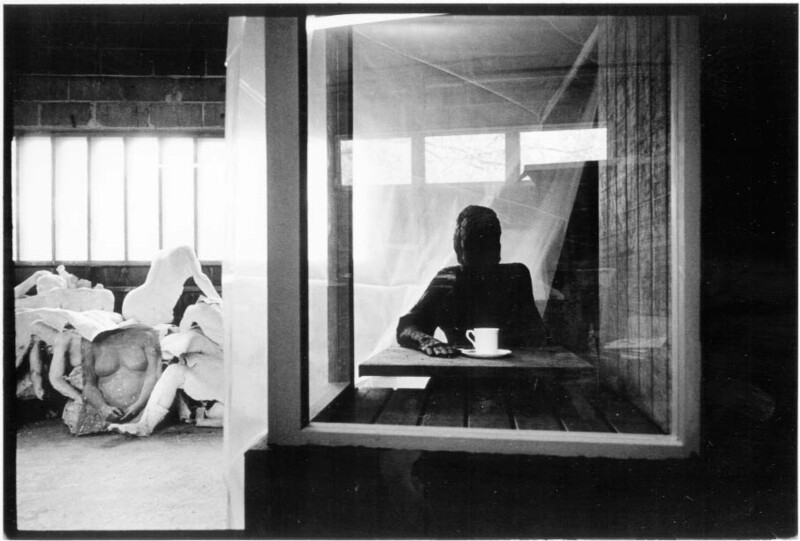 He once said that because he was from the proletariat, he wanted to deal directly with the places around and familiar to himself, rather than with "elegant" topics. The last years of his life were filled with new creation and expression. 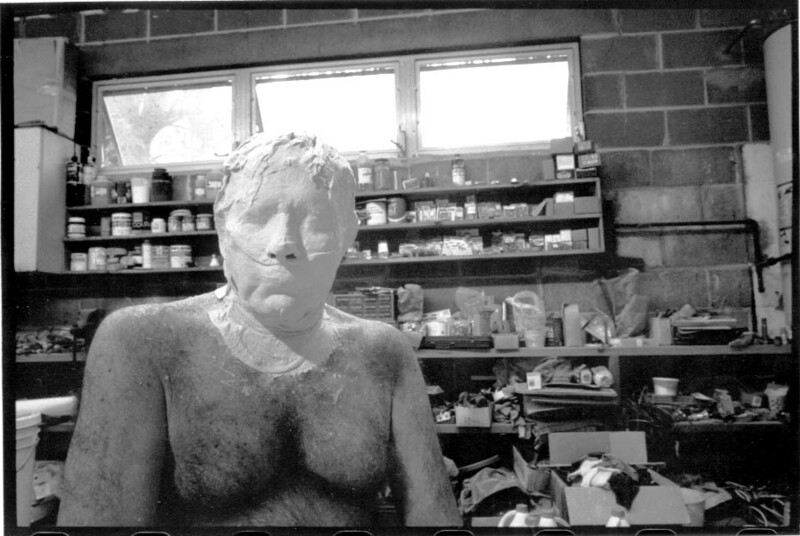 His black and white photographs of the streets of New York & New Jersey and of people in his life were used to create new tableaux for his sculpture and to create close up drawings of human expression. 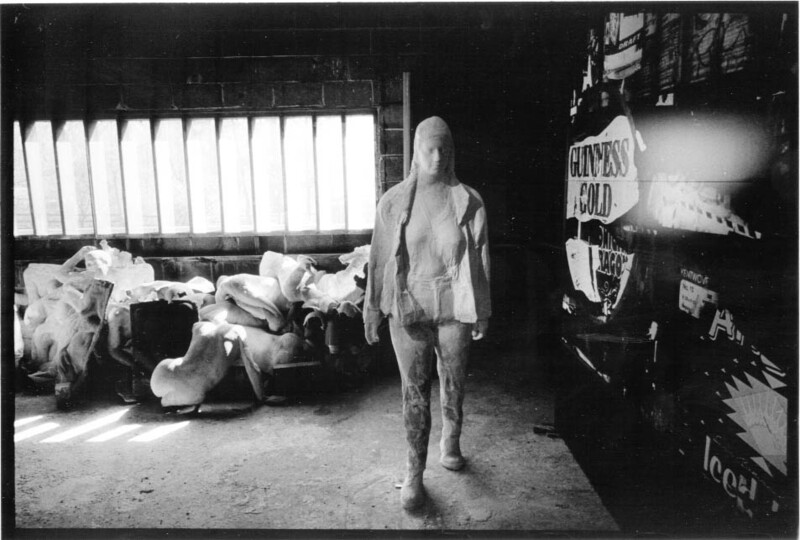 He remained active, engaged and productive until his death on June 9, 2000. 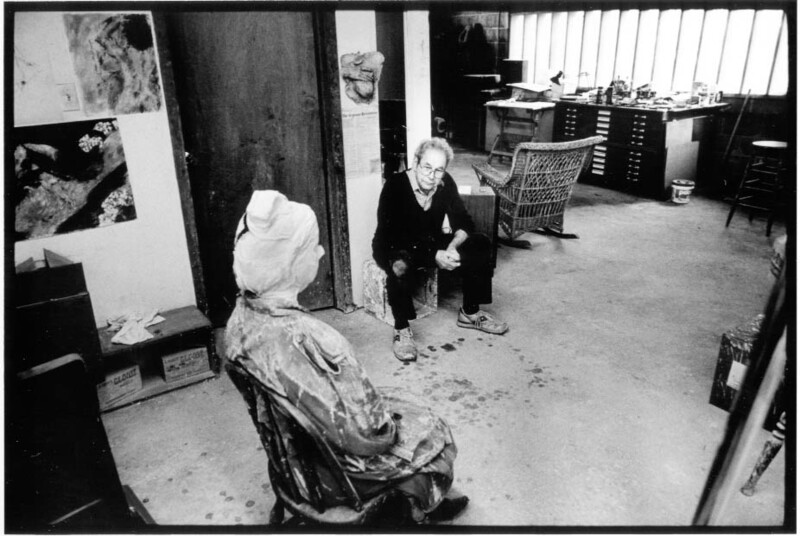 Throughout his life he was recognized around the world for his artistic work and his humanistic passion. 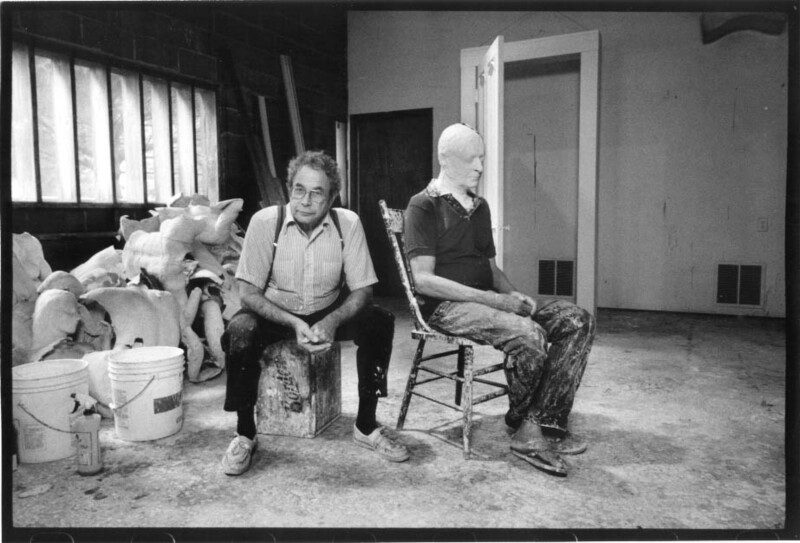 Our online artwork collection includes over 600 photos of George Segal's life and work over the decades. 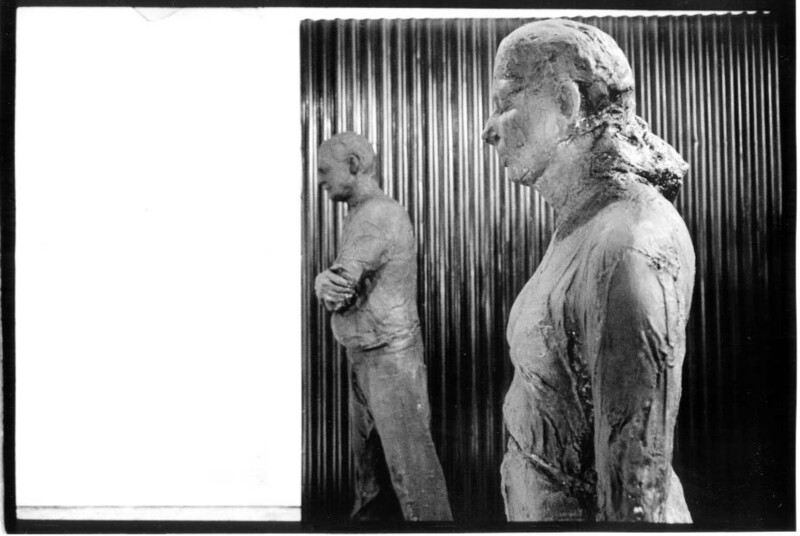 View the Artwork. 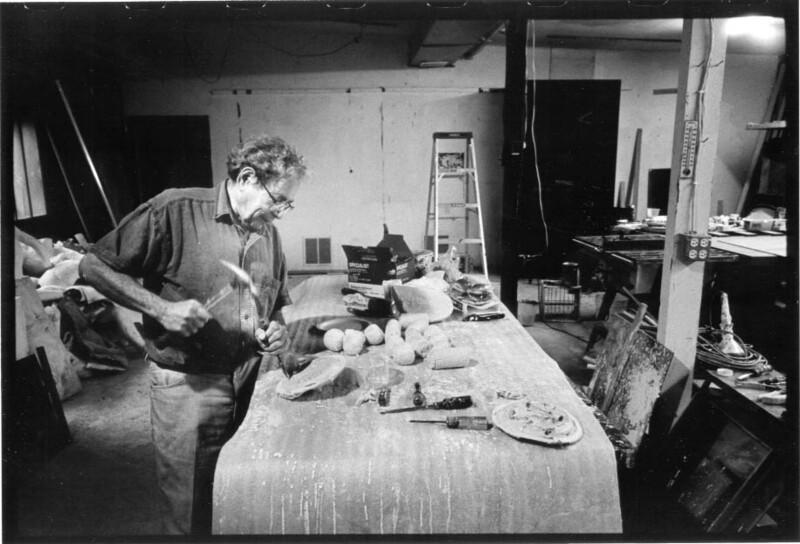 The following is a partial list of awards and honors George Segal received during his lifetime. 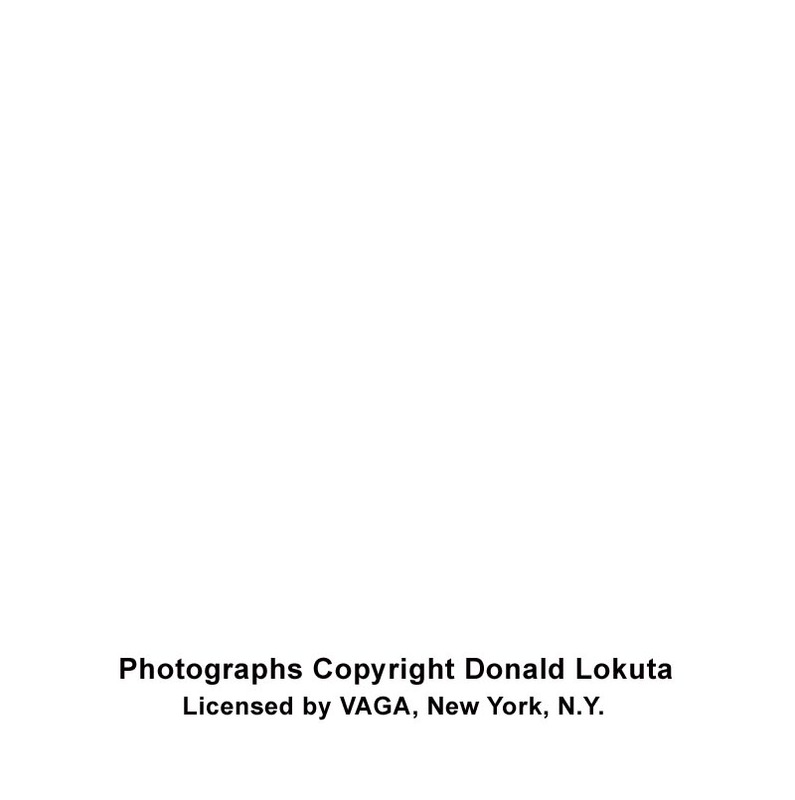 With the exception of non-commercial educational uses, reproduction or downloading of any images and/or text is prohibited without written authorization.